A wonderful, warm novel from a major new American voice. In The Art of Fielding, we see young men who know that their four years on the baseball diamond at Westish College are all that remain of their sporting careers. Only their preternaturally gifted fielder, Henry Skrimshander, seems to have the chance to keep his dream - and theirs, vicariously - alive, until a routine throw goes disastrously off course, and the fates of five people are upended. After his throw threatens to ruin his roommate Owen's future, Henry's fight against self-doubt threatens to ruin his; while Mike Schwartz, the team captain and Henry's best friend, realizes he has guided Henry's career at the expense of his own. Keeping a keen eye on them all, college president Guert Affenlight, a longtime bachelor, falls unexpectedly and dangerously in love, much to the surprise of his daughter, Pella, who has returned to Westish after escaping an ill-fated marriage, determined to start a new life. 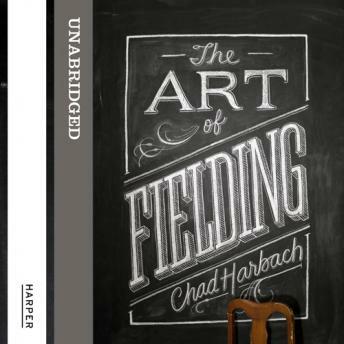 Written with boundless intelligence and filled with the tenderness of youth, The Art of Fielding is an expansive, warm-hearted novel about ambition and its limits, about family and friendship and love, and about commitment - to oneself and to others.